Cody A. Hobbs, 32, Marion, passed away at 1:14 pm Friday April 5, 2019, at Marion General Hosptial in Marion. He was born November 6, 1986, in Kokomo, the son of Gregory A. & Lisa L. (Fillenwarth) Hobbs. Along with his parents, Greg and Lisa, Cody is survived by his sister, Alicia (Austin) Pearson; grandmother, Carolyn Hobbs; niece and nephew, Alivia Pearson, and Alan Pearson; uncles, Kent (Nichole) Fillenwarth, Troy Hobbs, and Cary (Sally) Hobbs; cousins, Dalen Fillenwarth, Briley Fillenwarth, Camber Fillenwarth, Amy (Kevin) Manley, Aaron Hobbs, Marrissa Hobbs, and Hailey Hobbs; and great-cousin, Kimmie Manley. Funeral service will be held at 1:30 pm Wednesday, April 10, 2019, at Stout & Son Funeral Home, 200 East Main Street, Russiaville, with Pastor Chris Duncan officiating. Burial will follow in Sunset Memory Garden Cemetery. Friends are invited to visit with the family from 5-8 pm Tuesday at the funeral home. 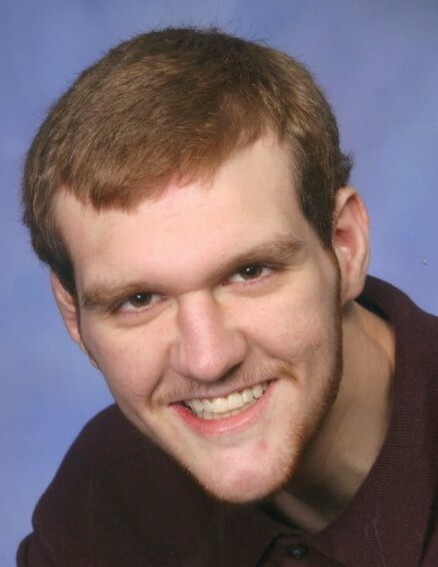 Memorial contributions may be made in Cody’s memory to Cornerstone Autism Foundation, 360 Polk Street, Greenwood, IN 46143. Messages of condolence may be left online at www.stoutandson.com.